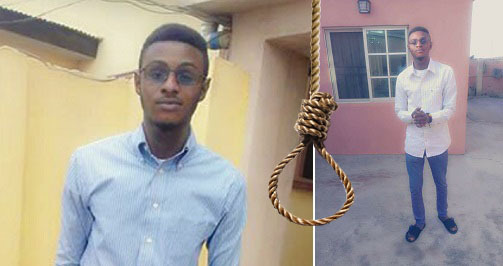 A 500-level final year student of the Ladoke Akintola University of Technology (LAUTECH), Ogbomosho, Oyo State committed suicide by hanging himself in the school’s hostel on Saturday. His name was Adesoji Adediran and he was a 500 level student of the Urban and Regional planning department. A classmate of the victim, who asked not to be identified, said Adediran’s remains were found around 5.30am, PUNCH reports. He described the deceased as “funny and lively”, saying Adediran couldn’t have suffered from depression. May his soul rest in perfect peace... Amen.